RECEIVE ENTERTAINING TIPS AND DESIGN INSPIRATION STRAIGHT TO YOUR MAILBOX! 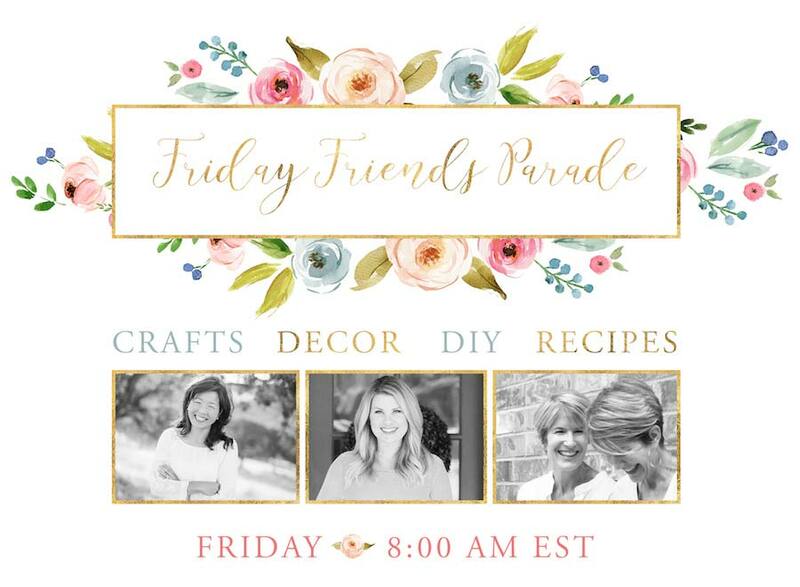 Hi and welcome to our Friday Friends Parade Linky Party! This past week we had so many amazing and fabulous posts linked up. It was so hard to choose our favorites! Thank you for linking up your talent and creativity each week! And be sure to sign up to receive an email notification each week when our link up goes live! Click HERE. Each week your hosts will be featuring our favorite posts from the week before and share here on our blogs and across our social media channels! So linkup and let’s grow together! 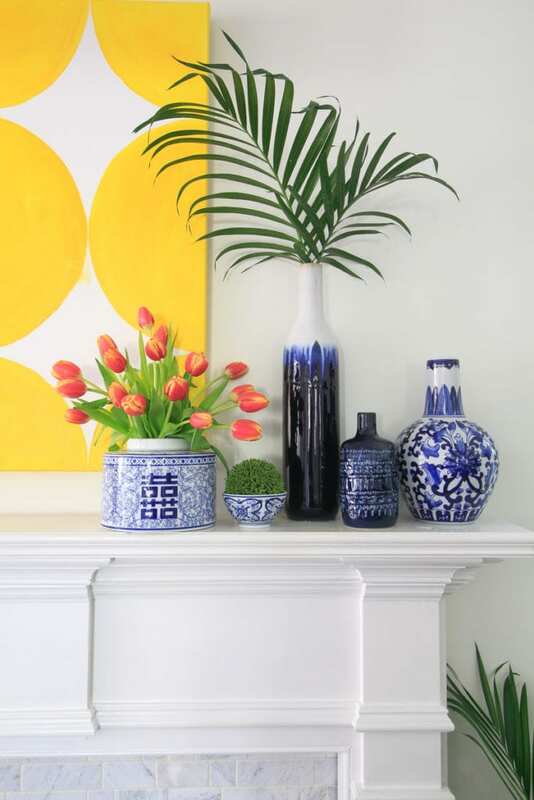 Leslie from Deeply Southern Home shared this beautiful and fresh Spring Mantel with us. I am so in love with these blues and yellows! It reminds me of my Spring Mantel Refresh from last year! This past week I shared this super simple and easy Modern Spring Hoop Wreath DIY. 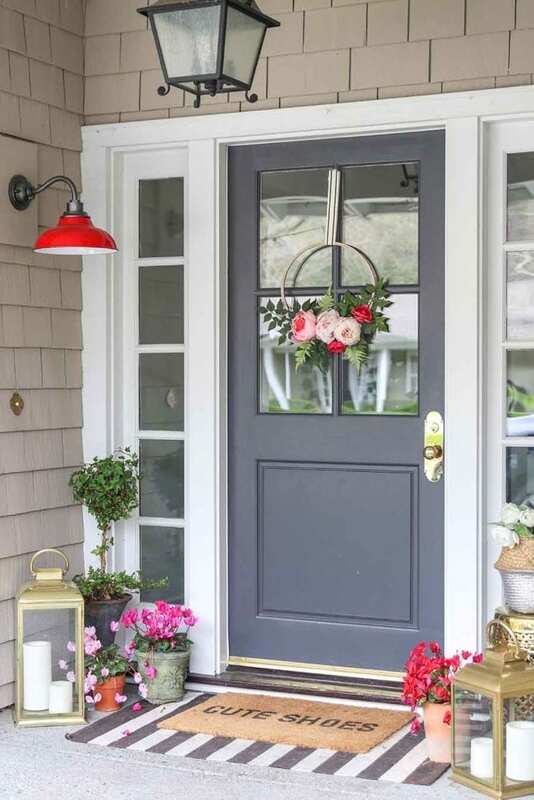 This quick DIY packs a lot of wow and is so cheery for Spring. I hope you give it a try! If you are researching amazing before and after kitchen remodels than you definitely need to check out Karen from Sanctuary Home. 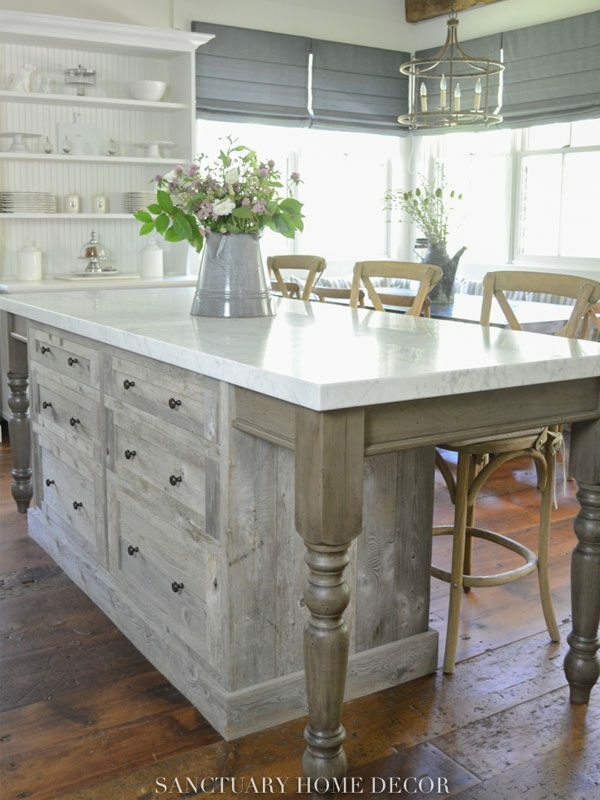 I promise you will enjoy viewing her Farmhouse Kitchen Remodel. 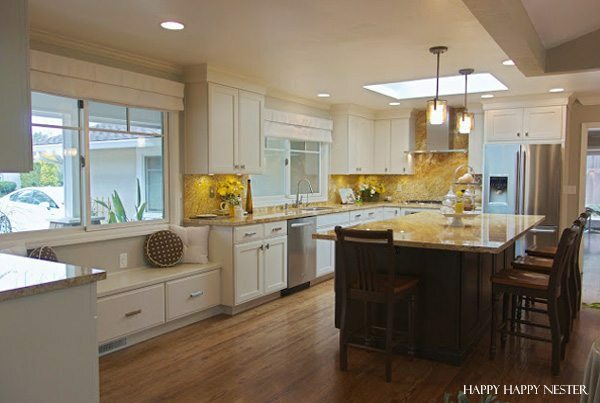 Now for our California remodel, here is my kitchen before and after photos. I have several posts so make sure you see them all! Also, here is what I’ve been up to this week. 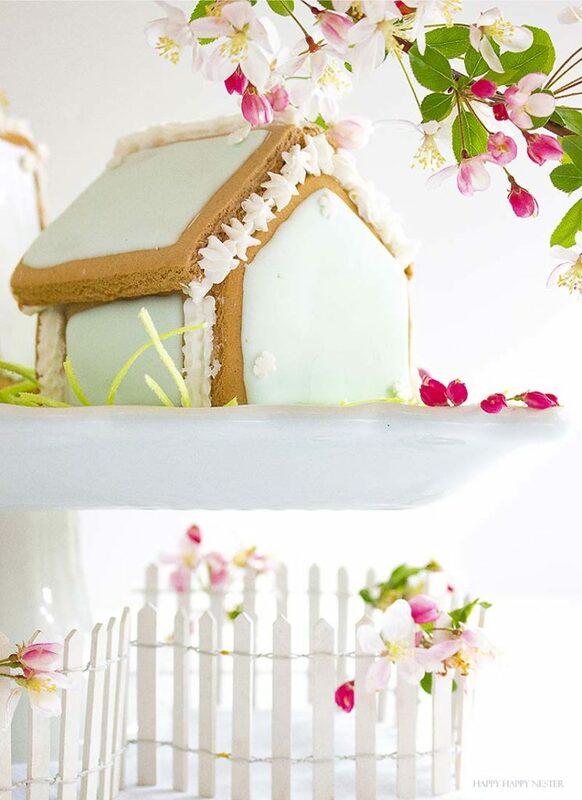 My gingerbread Easter houses are so cute! They are so easy to make, and they will make you smile every time you look at them. This week our favorite came from Kim & Lacey of Styled with Lace. 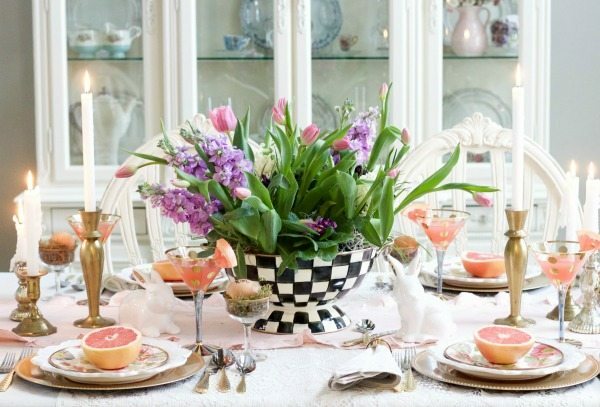 This talented mother-daughter duo created a whimsical Easter tablescape that is sure to inspire! Julie had a great time exploring her crafty side with this fun Chalkboard Stenciling project! Be sure to check out the video! 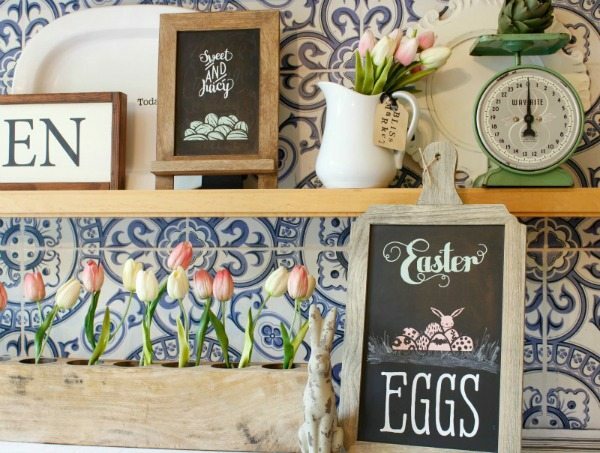 We just love how they added the perfect additions to her spring decor. Please DO NOT link up Etsy shops, Giveaways, or other Linky parties, etc. Link directly to a specific post, not your homepage. Link up your new projects! Please don’t share ideas you’ve already shared to Friday Friends Parade. By linking up, you’re giving us permission to feature your photos and project on our blogs and social media. Images will always be shared with proper credit and a link back. Don’t just link and run. Please visit at least 2 other links and spread the love. To link up, scroll to the bottom and click the “Add Your Link” button below! Then follow the prompts to link up. GET A DOSE OF GLAM IN YOUR INBOX. RECEIVE ENTERTAINING TIPS AND DESIGN INSPIRATION STRAIGHT TO YOUR MAILBOX! Hi and welcome! I’m Ashley, owner and buyer for a women’s clothing and home boutique. When I’m not working at the shop or running around after my 2 young kids, you can find me here sharing my latest home renovation, DIY project or favorite recipe!